Like a relationship, a home remodeling project is the most fun in its earliest stages. You get to pin inspiration photos to your heart's content, your brain is filled with all sorts of grandiose design ideas, and you study catalogs, jotting down minor details like the virtues of brass versus nickel versus copper faucets (along with a list of SKUs for the ones you like best). Then the word "budget" rears its ugly head. Soon, your dreams of high-end countertops and high-tech appliances come crashing down, as you mull over labor costs and not-so-exciting project elements like electricity and plumbing. Even if you can afford to turn your design vision into a reality, it's still a puzzle trying to work out how much to allocate for the dizzying array of costs that accompany kitchen and bathroom remodeling projects. But have no fear: We are here with a handy guide to anticipating project costs, avoiding last-second expenses (and emergencies! ), and places where you can cut down on costs without necessarily sacrificing style. So don't scrap your remodeling plans altogether in favor of searching, thinking your dream bathroom has just got to be out there somewhere. You can do this! Here's how. Although it adds an initial cost to your project, hiring a home inspector to take a close look at the areas you plan to renovate can help prepare you for any unpleasant surprises uncovered during remodeling. Rotted wood subflooring, anyone? Knowing what pitfalls lie ahead can help you plan for them at the start -- which will help keep your actual budget closer to that original estimate. According to the experts at the National Kitchen and Bath Association, you can anticipate spreading your budget across these categories, so you can get a dream kitchen like the one above in the home for sale at 3414 E. Shore Drive, Seattle, WA 98112. 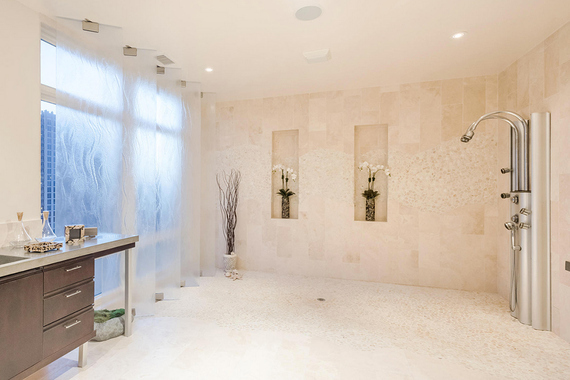 And if you dream of a master bath with a spectacular open shower like this one in the home for sale at 230 Tryon St., 1204/1304, Charlotte, NC 28202, make it happen with these percentages in mind. These guidelines for budgeting kitchen and bathroom remodeling projects will help prevent sticker shock when it comes time to read bids (basically, a fixed-priced estimate) from contractors. The contractor bid sheet will give an in-depth rundown of every part of the remodeling project, including the specific costs for the job, plus a potential payment schedule. Although the contactor's bid is in writing, it's not set in stone -- if you want to upgrade certain materials, or additional repairs need to be made after the project starts, the contractor will update the bid with a change order for you to approve. Having a clear budget for a remodel sounds like an obvious first step, but being frank about finances can be awkward for some of us. "Sometimes this conversation can be uncomfortable, but it's so easy to overspend on the kitchen and bathroom," says Anne Reagan, editor-in-chief of Porch.com, a startup that connects homeowners with remodeling professionals. 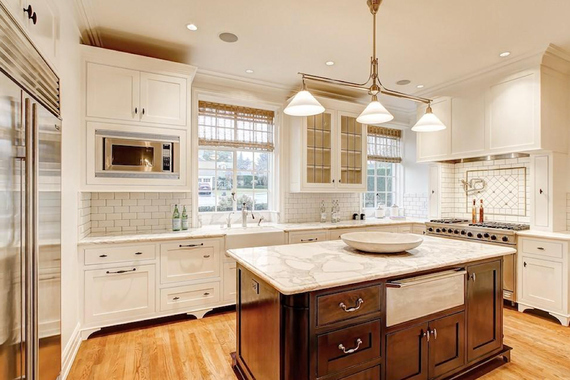 "These two rooms can be very expensive: The national average kitchen remodel cost is anywhere between $20,122 (for a midrange, minor kitchen remodel) to $119,909 (for an upscale, major kitchen remodel)." Since the timeline also impacts costs, know that having to rush product orders will quickly drive up the bill. 4. "Do I need a home permit for my remodeling project?" Maybe. Things like adding a new gas line will definitely require a home permit. "Very often, the professional just gets permits on behalf of the homeowner, but a homeowner is responsible for making sure it's done properly," Reagan says. Make sure to ask about the cost of pulling home permits from the get-go and ensure they're included in your budget. You know how adding a piece of furniture to a room occasionally leads to even more decor purchases, because something so new ends up calling attention to the more well-loved items in the room? A single-room remodel can inspire the same makeover madness, something the pros call "scope creep." "Scope creep can be costs involved in discovering larger issues (like major plumbing repairs, mold, or hot-water-tank issues) as well as the idea of '... while we're at it, let's also remodel this,'" says Reagan. "I can't think of anyone who has remodeled a kitchen or bathroom and stopped right at the entrance to the door -- very often the master bath remodel involves the bedroom, and the kitchen may involve the dining room." Keep boundaries in place to avoid turning a single-room remodel into a total home overhaul. When looking at your choices for things like countertops or appliances for your kitchen remodel, you first look at the price tag, right? But what you may not be considering is the other costs needed to get that dream countertop into your kitchen. These are the "associated costs." "For example, if you want marble countertops, you'll need to purchase the entire slab (even if you don't need the entire slab) and pay for cutting fees, finishing fees, edging, delivery, and more (costs vary by region and supplier). So not only is marble on the high end per square foot, [but also] there are other higher installation costs associated with this material," Reagan says. The same is true for anything custom to your space, including tile, flooring, wallpaper, etc. So before you tackle a challenging kitchen renovation like the one above, inside a church-turned-home-for-sale at 653 Dolores St., San Francisco, CA 94110, make sure you're truly up for the challenge. 7. "Can I be my own general contractor?" Only take on the task of acting as your own general contractor on big projects like kitchen and bathroom remodeling if you can handle being solely responsible for hiring subcontractors, sourcing materials and accessories, and making sure everything arrives on time. By taking on the task of sourcing these items, you can save big -- not only on the items themselves, but you can avoid any excess project-management-type costs as well. In addition to shopping sales, check out architectural resale shops for bargains. Habitat for Humanity ReStores often have everything from tiles to toilets to the occasional appliance at a huge discount (plus, you support a good cause!). While some states require that general contractors be licensed and insured, homeowners can frequently skirt these costs by acting as owner-builder -- as long as you hire licensed subcontractors to complete the work. There are always other tasks you can take on to avoid extra out-of-pocket expenses. Reagan has just a few words of caution: "I think a person needs to be very, very honest about their skill level and time to dedicate to this project ... even experienced DIYers find that they need to call in an expert plumber or electrician to do certain tasks (especially the tasks that require a license)." Have you recently tackled a kitchen or bathroom remodeling project? What tips do you have to share about the process? Comment below!